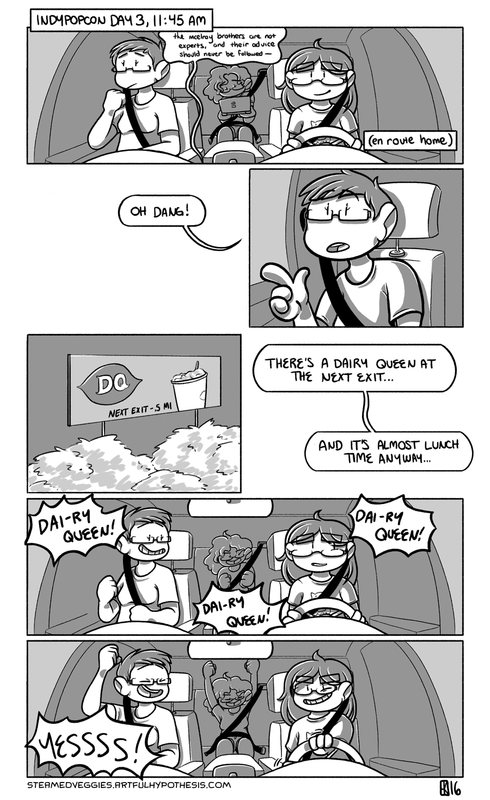 …means you’re the one who has the power to immediately take the next exit to that Dairy Queen, gat dang it. This is (mostly) the end of the IndyPopCon comics! (There’s one more that’s kinda bigger and more serious, which will hoooopefully go up next week.) Hope you all liked these silly convention goofs!